Pick a number between 0 and 99. 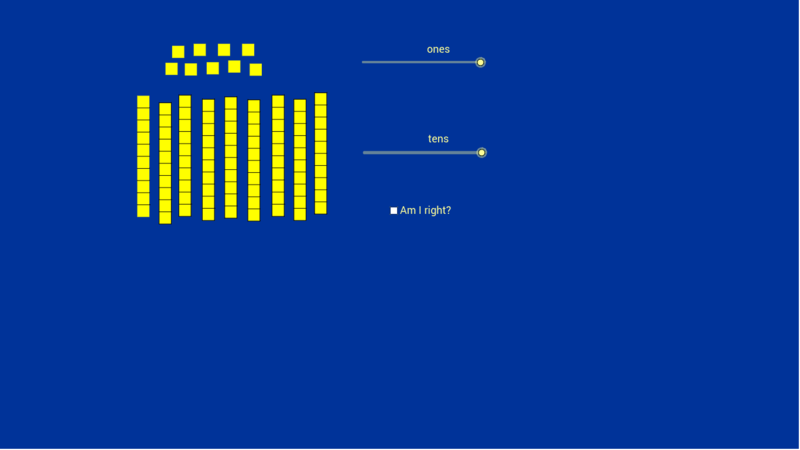 Use the sliders to show the correct numbers of tens and unit blocks for your number. When you think you are correct, click the 'Am I right?' box to see if the blocks match your number. If it does, great job! If it does not, move the sliders until they do match. Then click the box, pick a new number, and try again.